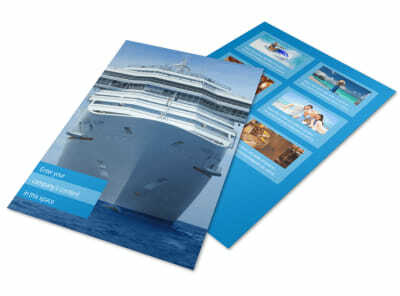 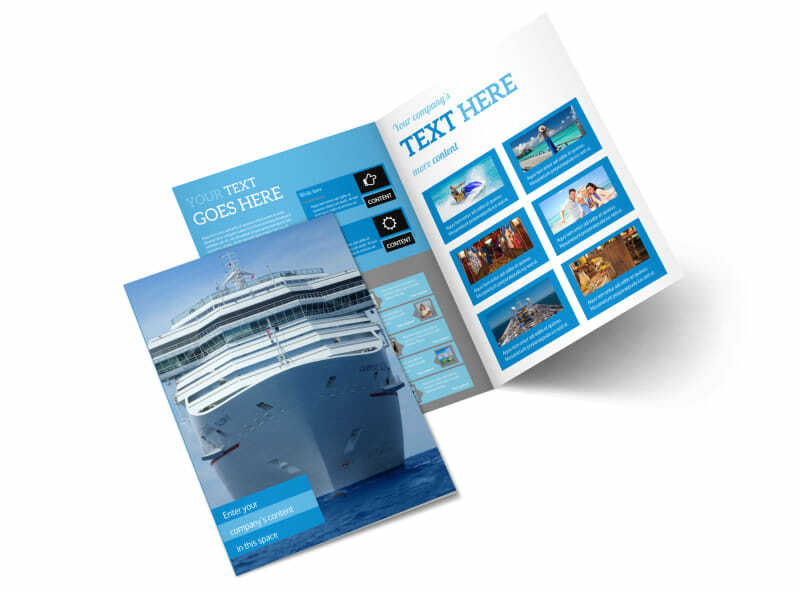 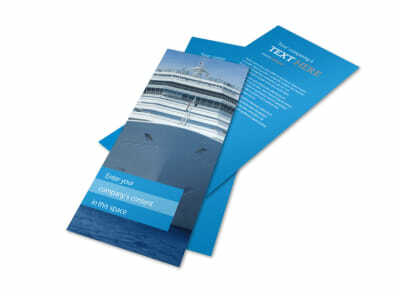 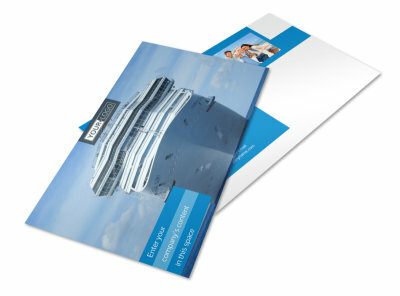 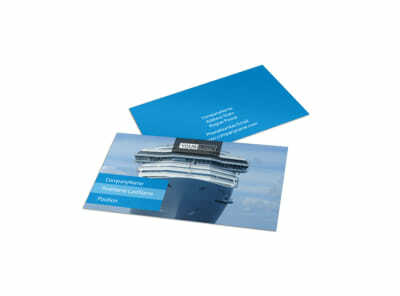 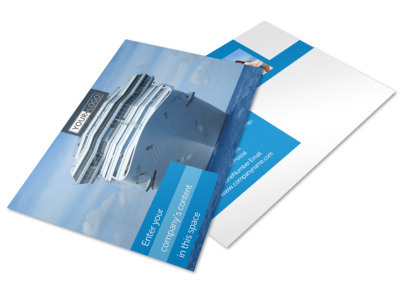 Customize our Cruise Ship Getaway Brochure Template and more! 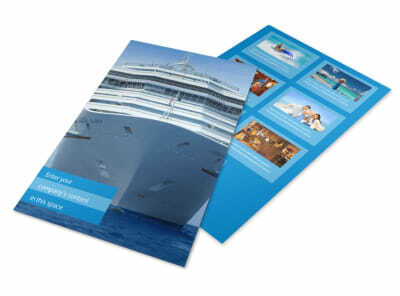 Get them dreaming of the open sea, sandy beaches, and tropical locales with cruise ship getaway brochures. 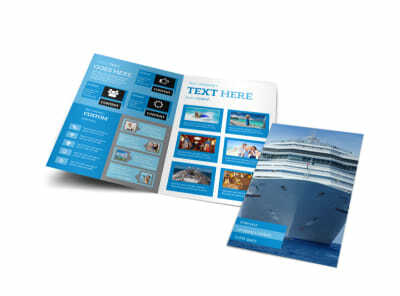 Customize the template of your choice using high-res photos of the ship's amenities, suites, and entertainment, and then add text detailing rates, packages, ports-of-call, and itineraries. 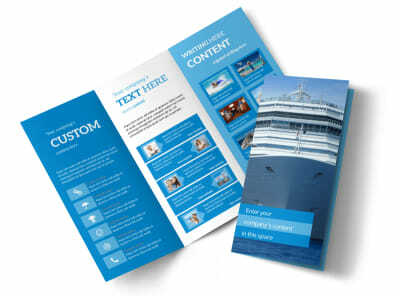 Create an enticing brochure design now.